They feature achromatic lenses and eyepieces protected with an anti-reflective coating that alters the electrical characteristics at the surface of the material. 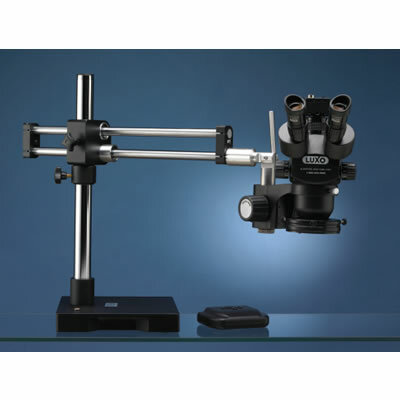 Luxo’s ESD-Safe, 23mm System 373 Trinocular Microscopes provide 270X total optical magnification and greater field of view than comparable Luxo System 350 models. The small, sleek body of the new microscopes occupies a smaller workspace for greater worker productivity.